Though Twitter made its name years ago by being a fundamentally text-oriented platform, a new update for its camera features suggests that the application is making a shift toward photo and video promotion that bears similarities to stories features on Facebook, Instagram, and Snapchat. On Wednesday, Twitter announced that the app’s camera has been updated, and now, all you have to do is swipe right to access the camera and take a photo. Once your moment is captured, Twitter prompts users to add a location and caption on a vibrantly colored tag and then directly publish the tweet. Though you don’t have the ability to select a previously taken photos from the revamped camera, you can still publish existing pics from the main tweet composer. 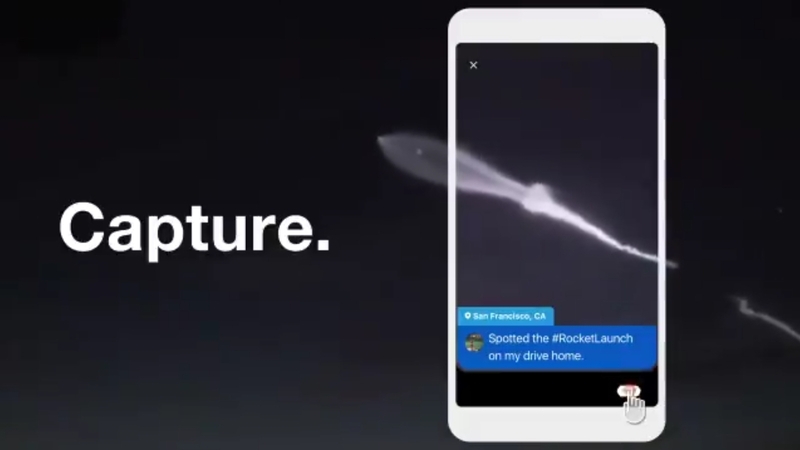 A live-streaming tool built upon Periscope technology has also been integrated into the application without the Periscope name, as Twitter bought the company back in 2015. The feature allows users to stream both live videos and audio. Considering that camera development has typically been on the backburner for the Twitter team, this colorful redesign illustrates that the company recognises the importance of visual media and wants to rejoin the race against Snapchat and Instagram but in a distinctively Twitter fashion — the posts stays up indefinitely, and you can’t edit them once published. Twitter revamps camera to compete with social media Stories craze 0 out of 5 based on 0 ratings. 0 user reviews.